a lot has changed since starting this blog in 2013. for starters, we no longer call hong kong our home. we are now happily living in shanghai, china. 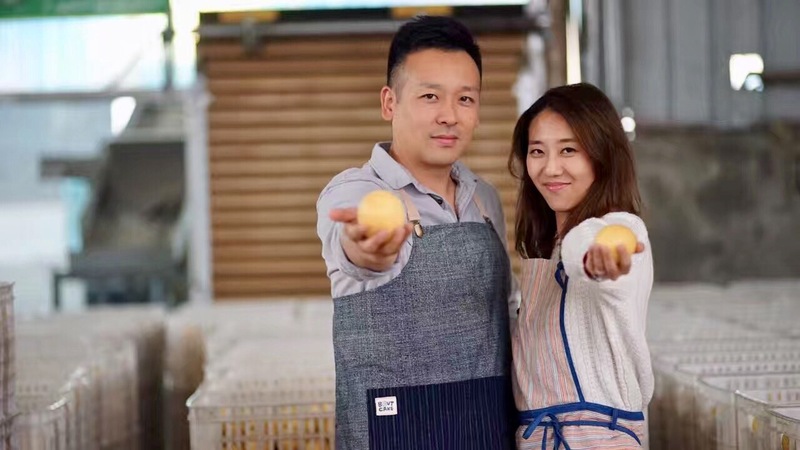 we are co-founders, operator, and executive chef of brut eatery; “a western café with an eastern soul” that is currently expanding all over china. we have become food and media personalities, the latest being hosts of a lemon documentary which took us around the world. and, we like to think that all of this would not have happened had we decided not to share our recipes with the world. as busy as we have been, we still love to do the one thing that started this whole journey, cooking. but now, there’s more to us than just recipes. so stick around, get comfy, browse, read, like, comment, and share. Thank you for dropping by my blog and the “Like” of my posts. ooh very nice! mine has improved a lot since moving to hk. Was it different being raised in America and moved to HK? My Chinese is horrible… I’m 100% ABC. Do you like living in HK? yes i live in hk now. being an abc here is quite interesting. it’s like i’m chinese, but not really. i look chinese, so the locals will naturally speak to me in cantonese. but unfortunately, i don’t always know how to respond to them. so most of the people here probably think i’m slow or something because i struggle to find the right sentence and words to respond. thanks for liking my blog. i’m not that long a blogger so it isnt looking that pro yet. yours is looking great and i will follow Homemade in Hong Kong for asian inspiration. Cheers! Hi Jun & Priscilla! Just wanted to let you know that I nominated you for the Dragon’s Loyalty Award – http://wp.me/p3Nc97-ja. Wish you both a wonderful New Year! wow thank you so much! have a beautiful new year! thanks! we are quite amateur in terms of photography, but we are doing our best to capture the mouth-watering moment! Loved your description of yourselves! You guys sound like a fun,food loving couple! Love your site too.! Do drop by my blog sometime too! thanks indu! we love eating and cooking food! your blog is lovely, and you have videos! well done! thanks so much. Appreciate you stopping by! thanks! we share the same concept – be fearless about experimenting! I was looking for a taro dish, and found one with pork on your blog. I like to know who’s behind the blog, so here I am. So nice to meet you! I’ve been blogging a while about boating and traveling, now getting ready to create a food blog with a Korean friend. It’ll be a mix of everything – wesian, like you coined it, but even more so, since I’m from Malaysia and hubby’s from Cambodia and we’ve lived in the south for over 7 years, and that’s not counting Florida! good for you eileen! there are so many foodies here! have fun blogging! I’ve nominated you both for the ‘Shine On Award’. I hope you accept! Wow – I have to say your photos make me literally dribble. I need to work on my photos but am doing a photography course, so here is hoping! I actually live in Germany and I’m working my way through the cheesecakes here – so glad it’s your favourite food. oh i love german cheesecakes, it reminds me of when i spent a year living abroad there. suffice to say i gained more than a few pounds eating cheesecakes made by my host mother. Thanks for the like today! Appreciate it and hope you keep enjoying my posts 🙂 Your posts definitely remind me of my mum’s cooking! what a sweet blog! can’t wait to read everything. thanks for checking my little internet space out too. Thank you for liking one of my posts! You’re blog looks wonderful so far and is making me hungry! Haha. Definitely following. Now I’ll have to figure out what recipe to try out first. thank you for the wonderful comment and for stopping by our blog! have a great one too! hi jocie! hope you like out blog! thank you for stopping by and for all your wonderful comments! I love all the yummy dishes you guys often post on your blog! It must be super lucky to be one of your relatives!! I’ve nominated your blog for the Sunshine Blogger award, do check it out on my blog 🙂 Happy week guys! oh thank you so much for the nomination! Thank you for stopping by my site, I am looking forward to checking out yours! Hi Julia, thank you for finding us! We would love to be part of your website. Currently, we’re on vacation in Italy. So we’ll get back to you with our list of restaurants and a write-up in a couple of weeks. Thanks!! Can you provide me with your email so I may send you my list and write-up. Thanks! Hey, thanks for stopping by my blog – I’m glad it made me discover yours! Love your recipes! Love your taste! Be hanging around for more recipe from both of you! Not sure how I’m JUST NOW finding out about this blog of yours but I’m LOVING IT! Great work! And I’ll be sure following along from now! It’s currently 1PM in New York, and I’m STARVING just looking the food on here!